I love peanut butter. Seriously. I eat it almost every day -- a spoonful here and there. Not in sandwiches anymore (siiiiigggghhhh, stupid celiac), but when I hit that afterschool-snack hour of 3 or 4 o'clock and need a little somethin', I grab a spoon and dunk it into a container of fresh-ground peanut butter from the grinders at Whole Foods. I mix the regular and honey-roasted versions, so it's a nice blend of salt, nut, and a hint of sweet. I grew up eating Jif peanut butter, but it tastes funny to me now... a little like plastic, I think. I'm not 100% in love with the Whole Foods fresh-ground stuff, either, but it'll do in a pinch. I've written about my love for peanut butter here and here. I tend to torture my friends with this little ditty from time to time. So, I think it's safe to assume that going into this dish, I had high hopes, an eager palate, and knew there wasn't anything I was dreading or loathing or having for the first time. These are flavors I know, techniques I'm familiar with, and preparations that are pretty straightforward. I made the Peanut Chocolate element first, since the book said it needed 6 hours in the fridge to become firm. The first ingredient? Unsweetened peanut paste. Now, you may be wondering, what in the hell is peanut paste and how is it different from peanut butter, and where the heck do you buy it? I wondered that myself, and suspected that it was pretty simple: peanuts, a little bit of peanut oil, food processor, whackedywhack, and done. So after making a few phone calls to some chef friends, they confirmed that my assumption was correct. So, I put 270g of raw peanuts in the food processor and turned it on, while I drizzled in 2T of peanut oil, just to give it some moisture to turn into paste instead of just being ground peanuts. Not quite peanut butter, not quite ground peanuts. Somewhere in between. Works for me. Brown butter, peanuts and sugar? My kitchen smelled like a fairy tale. I put the mixture on a piece of parchment, covered it with another piece of parchment, and "rolled" it flat with my hands (I think they're the most valuable and underused tool in the kitchen). When I had smoothed it to its called-for thickness (1/4"), I slid it onto a sheet pan and put it in the fridge to set. The book said it would take 6 hours. It took one hour. I LOVE when that happens -- since what usually happens to me is that instead of 2 hours, something takes 947 days. While that was in the fridge, I made the concord grape gel, otherwise known as "Peanut Grape" in the book. I brought it to a boil, then added the sugar, isomalt, and glucose and heated it to 225 degrees F, stirring furiously so that it wouldn't scorch. Scorch is such a weird word, isn't it. It's one of those words that when you say it out loud, over and over again, it loses its meaning, and makes you look like a basket case walking around saying, "scorch" out loud a hundred fifty times in different intonations. Not like I've ever done that or anything. I poured the liquid onto a Silpat-lined baking sheet and let it set in the fridge. It took about 30 minutes to set. Also part of the "Peanut Grape" element of this dish is some peanut butter powder. Simple as pie: peanut butter and tapioca maltodextrin in a food processor, whackedywhack, sift, done. With the two most time-consuming (and really, not very time-consuming at that) elements done, it was time to do the little bits. I cut eight small pieces of celery heart -- sorry, I don't have photos of it, but it's easy. At the base and on the inside of a bunch of celery is the heart. They're the most tender, innermost, probably beige or yellow-ish stalks. You'll see them with a dab of peanut butter in the final plating photo. If you wanted to use the green stalks, I'm sure that'd be fine, too. Each one of those got a small dab of peanut butter, as well. Then, I took eight peanuts, dipped them in orange blossom honey, then into some freeze-dried honey powder. No photos of that step because it's boring to watch. It was even kind of boring to do. I actually probably fell asleep during the process which might explain the sticky stuff in my hair. You'll see the honey-slathered peanut in the final plating photo. Swears. Next up? I cut small rectangles of the grape gel and rolled each one, and dabbed them in the peanut butter powder. Peanuuuuut, peanut butter, and jelly, and jelly, jelly, jelly.... first ya take the peanuts and ya pick 'em, ya pick 'em, ya pick 'em, pick 'em, pick 'em. Did anyone else sing that song in camp, or am I making that up? Then, I cut small squares of the "Peanut Chocolate", and dipped the ends of each one into some dark chocolate I'd melted in a bowl over a small pot of simmering water. As much as I would've loved to splurge on eight of these serving pieces as the book describes, I didn't. So, for the purposes of the blog, I plated them all in a row so you could see what they looked like. I used my fingers to eat mine, but realized it was a bit of a messy proposition for my guests. They got theirs each on individual spoons. From L to R: Peanut dipped in honey and freeze-dried honey powder; peanut butter on a piece of freeze-dried banana; peanut butter on a piece of celery heart; "Peanut Grape," the concord grape gel dipped in peanut butter powder; and, "Peanut Chocolate" -- a peanut-y kind of nougat-like square dipped in dark chocolate. The peanut dipped in orange blossom honey and honey powder? What's not to like? Sweet, crunchy, delicious. The peanut butter on a piece of freeze-dried banana was so tasteless and dry and annoying that I threw away the other seven pieces of it and didn't serve it to my friends. It was like eating a piece of drywall with creamy, salty spackle on it. Only grosser. Peanut butter on a piece of celery heart? Fine. Not earth-shatteringly good or puke-inducing bad. Crunchy, peanut buttery, good. Now, the peanut butter powder on the concord grape gel? LOVED. Fantastic flavors, nice texture, and the gel nearly dissolves in your mouth. There's some give at first, but it's just so clean and smooth in the end. Loved it. And there's just something about the way the concord grape flavor is just so much better than any old regular grape flavor. It gets all up in your nose, and it's rich and heady and gorgeous. I love it. But I think the hit among all of them was the last one, "Peanut Chocolate." It was kind of like a nougat-y piece of candy with a shortbread-like texture. Like shortbread with a hint of flavor that reminded me of Mary Janes or Bit-O-Honey. And the little bit of dark chocolate on the end made it even better. In fact, I'd be content to make that exact same thing all over again, cut them into larger pieces, dip them in chocolate, and give them away as holiday goodies. Resources: Peanuts and celery from the TPSS Co-op; peanut butter from Whole Foods; Domino sugar; yellow pectin, isomalt, glucose, citric acid, and tapioca maltodextrin from L'Epicerie; McClure's orange blossom honey; freeze-dried honey powder from MySpiceSage.com; Just Bananas freeze-dried bananas (can't recommend 'em, though); Noi Sirius chocolate; Knudsen concord grape juice. Not only am I familiar with the peanut-butter-and-jelly song, but I get it stuck in my head every time I eat a PB&J. My inner self is about 7. I'm glad I'm not alone. Sigh, I know I'm like the only adult American in America that thinks this, but: I am so not a peanut butter lover. I think my mom overdid it when I was a kid. Peanut butter toast makes me physically shiver in fear. That said, the peanut dipped in honey and the nougaty thing sound delightful! I too sang that song. I always thought it waf from Raffi, or Rozenshawnzzzzz however you spell that. Super cute dish! I love that you watch SYTYCD and are a Wade Robson fan -- I've been addicted since summer of 2008? 2007? Forget now when I started watching. I've also found a surprising amount of music from watching the show. My weakness on the PB&J front is for concord grape jam (not jelly!) It's hard to find, but it's my go-to topping for biscuits. Mmmmmm. Holy cow. I am new here. 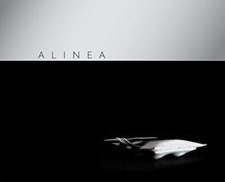 You're tackling Alinea?! My hat is off to you! and gloves, and scarf, and... wow! Well done. I like your honest report of how things proceed and how they taste! What is the difference between peanut paste and peanut butter??? I still don't know where u get the patience to do all of this, it's awesome!!!! And I've gotta say, that thing about repeating a word and it loses its meaning n u feel crazy? I feel SO much less lonely now!!!! phew!!!! omg.omg. thank you soo much. you can't imagine how much frustration i've had trying to work my way into starting a recipe in this book. i think i'm feeling much better after finding your blog.